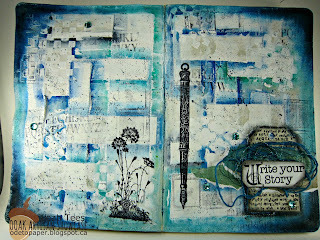 I am so in love with art journaling :) However, I do need to start taking process shots and videos, so watch for those coming soon! 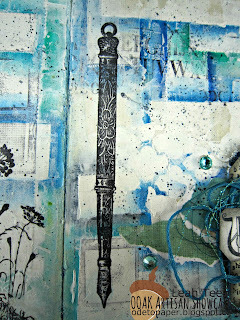 I started this art journal page with some tape, lol. That's all, just tape. Sports tape and medical tape placed strategically over a gessoed page. I used some acrylic paint in blue and teal to go around the rectangle shapes of the tape, making sure to make some look like they are behind and some in front. 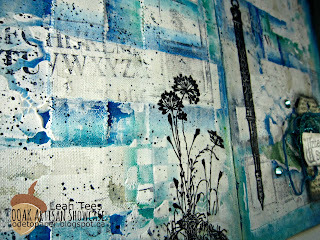 I used some of my home made texture paste and a checker stencil to create even more texture. 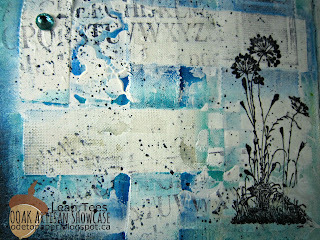 Then I stamped some fun stamps onto tissue paper and glued them down with matte gel medium. 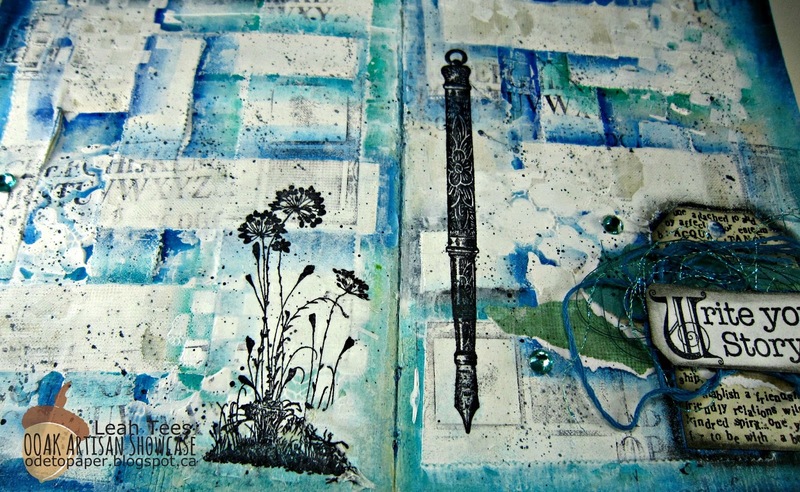 I also stamped an alphabet stamp around the page randomly. 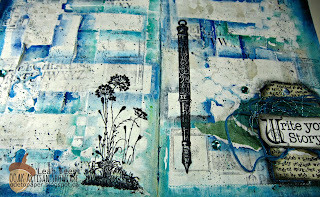 Then I darkened the corners of the pages with a black water soluble oil pastel and blended it with my fingers. 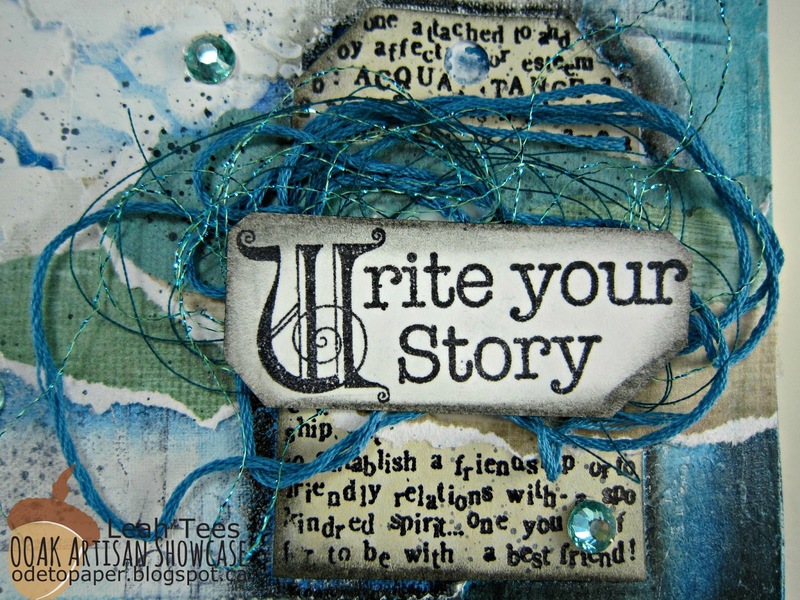 For the focal point, I added some ripped design paper over a stamped text tag and added three different kinds of the same colour thread, added my sentiment stamp on cardstock and went around it with a charcoal pencil and activated it with water. I also went around the text tag to make it stand out more. 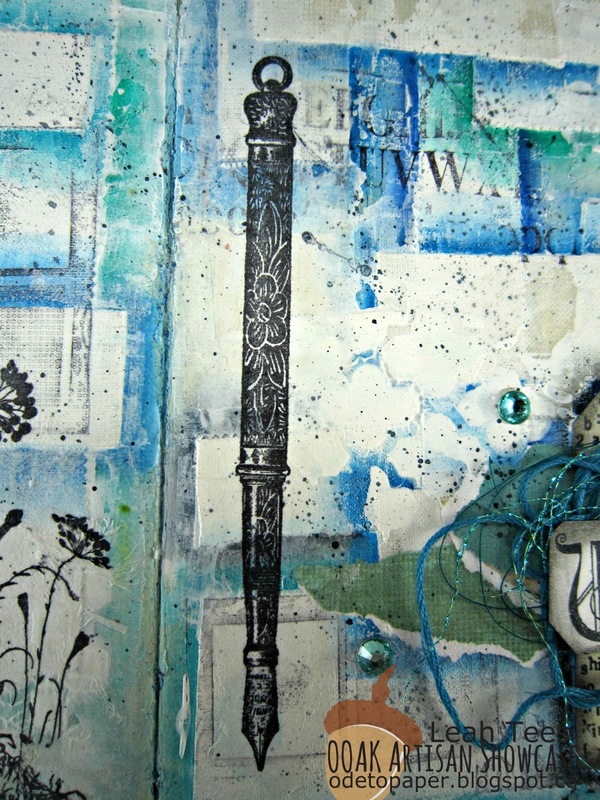 Lastly, I splattered the pages with watered down black acrylic paint and added some adhesive rhinestones to match the teal and blue.